I’m Matt I am in 9th grade. I live in louisiana and was outside after a really could day on January 10 and was looking at the frozen water off my dock. 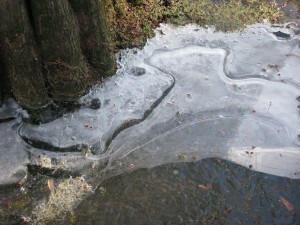 As I was coming back i looked at the ice by a tree and noticed a smiley in the ice. I remembered this off of CBS evening news and decided to put it on here.